Stylish power, electric and mixer showers – whatever suits you best. Because everybody’s different, this company produces the biggest shower range in Britain. This means that, whether you’re shopping for a cutting edge shower tower or an economical solution for a bathroom makeover, you should be able to find exactly what you want. But, if you’re not sure what kind of shower you should be shopping for, that’s no problem. Just consult the ‘help me choose’ section on the manufacturer’s website. 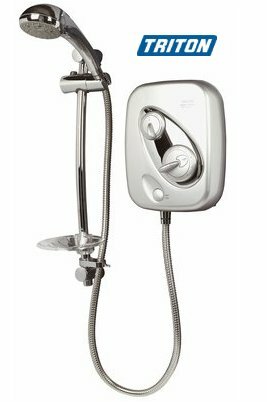 And if you’re feeling luxurious, check out the Triton Sirona thermostatic mixer shower – a hide-away shower unit with a wireless remote control.